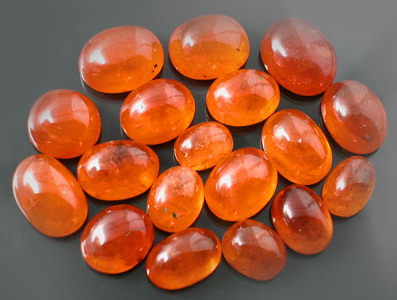 Mine Direct Mandarin Orange Afghanistan Spessartite Garnet Cab Lot! 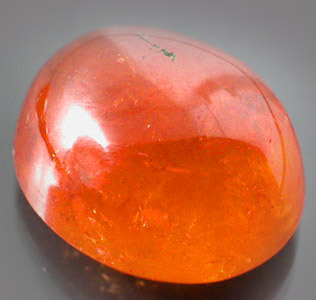 Awesome NEW discovery of Mandarin Spessartite Garnet coming from northern Afghanistan. 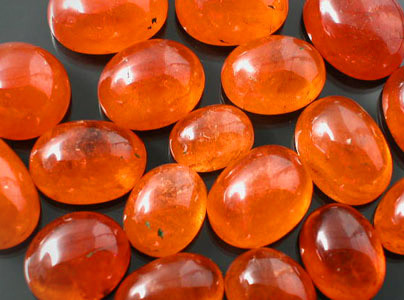 This is an awesome lot of Garnet Cabochons that run from a pure Mandarin Orange to a very slightly Reddish Orange in color. 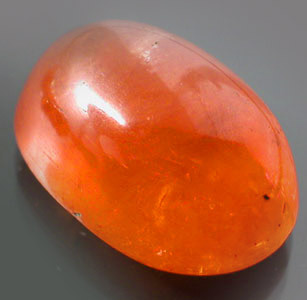 Please note that it is VERY VERY difficult to get this material and there is only a VERY limited amount produced annually with high grade rough amounting to a few kilos at most but usually well under 1 kilo. 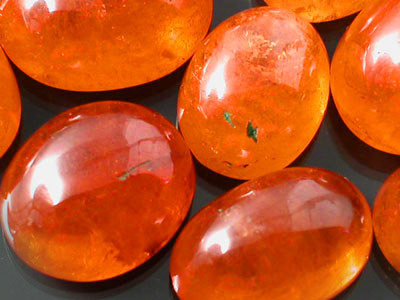 These are very well cut cabs with excellent polish overall and we are confident that you will not find this deal elsewhere. We have managed to work out a contract with the Mandarin mine owner in Afghanistan to purchase all production and therefore it is next to impossible for you to acquire this material elsewhere. We PERSONALLY recommend this lot as it is a steal for the price. We know of no place you can pick up cabbed Mandarin of this quality at this price! Don't miss your chance to pick this lot up as we are confident you will regret it!! 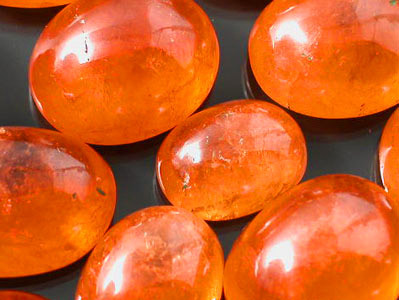 Mandarin Garnet has been the flame in the Gemstone market for the last few years and demand has only increased. The sad reality of it is that the increase in demand has only been met by a decrease in production and the original Namibian Source that put Mandarin on the Map is for the most part dry. 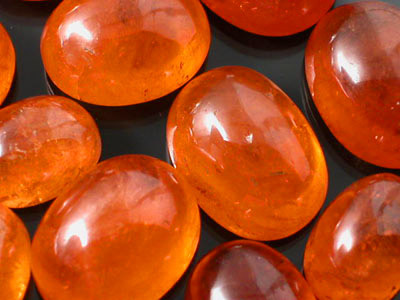 Nigerian production has steadily decreased as well as far as high grade Facet Rough is concerned and it is with great pleasure that we can introduce a NEW SOURCE of Mandarin Garnet that will hopefully help fill some of the demand for this lovely stone!